The last 24 hours have been a really nice period for the crypto market, and even more so for XRP in particular. Within that short period, the crypto has surged upwards by around 10%. That’s a pretty decent figure given that the bears have been camping at the gates for the past one week. XRP is currently the third largest cryptocurrency by market cap. Bitcoin and Ethereum take the first and second positions respectively. Within the first hour of the market event that happened over the weekend, the coin saw a 10% upscale, but things later settled down and the price took a little dip to a more stable position within the $0.45 range. As a matter of fact, all the top 10 cryptos benefited from the market event, with Ethereum (ETH) being the biggest winner. ETH spent the last week hanging right below the $200 mark, but that has now changed as the coin is now rearing its head just a few points over the $210 mark. As much as XRP surged and went down to stabilize, it’s pretty certain that its bull run session is yet to end. Judging from what’s going on both in the market and the business side of Ripple, XRP looks well set for a major bull run soon. 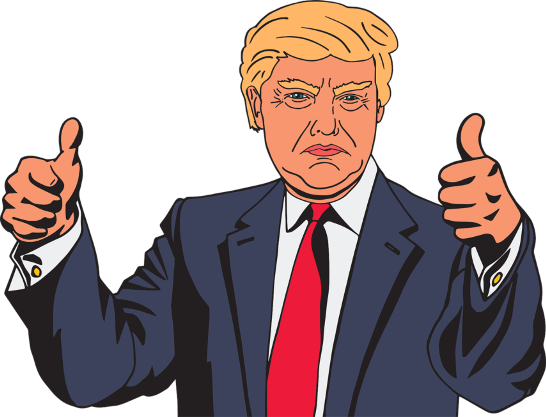 According to Corry Johnson’s interview with the Breaker Magazine, Ripple has been in talks with the Trump administration, and the White House seems to be in a really good mood to support the company’s business ventures. Corry is Ripple’s chief market strategist whose main job is to create public awareness about Ripple and XRP. For one, the administration views XRP and Ripple as something of a break from the majority of the cryptos and blockchain companies currently in the market. At the moment, much of crypto mining is dominated by the Chinese, something that doesn’t quite go down well with the administration. Given Ripple’s status as a world-changing innovative company that’s spreading its influence all over the globe, the Trump administration looks at it and its native crypto, XRP, as the silver bullet to put down Chinese competition in the growing industry. Although Corry didn’t divulge details regarding Ripple’s ongoing talks with the Trump administration, he was clear that things are moving in the right direction. That certainly puts XRP on the path to a major bull run by the time details of the talk are made public. Also, the fact that Ripple now has a good number of major banks, like Standard Chattered and Santander, on its network and the launch of new systems like xRapid and XPring adds to the flair.